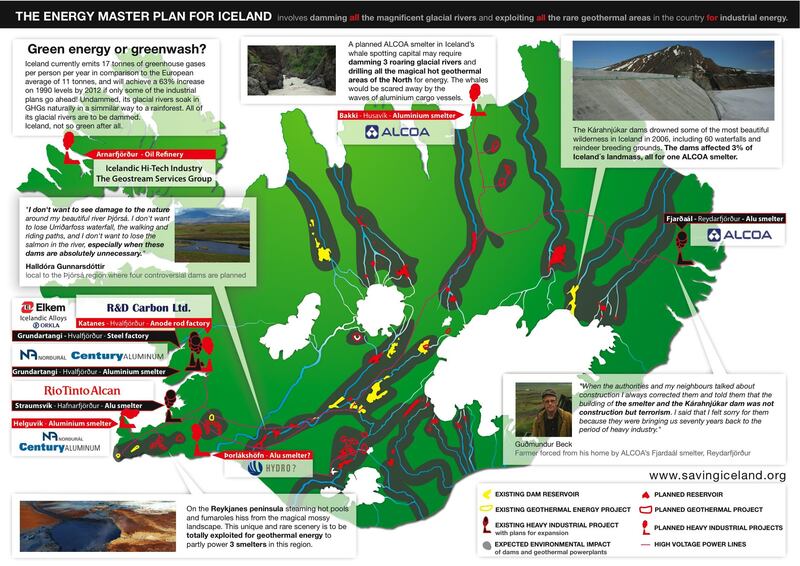 The original government master plan from 2002 envisioned the harnessing of every glacial river and every geothermal area in Iceland. When the current government came to power, they claimed they would not follow the heavy industry agenda of their predecessors. 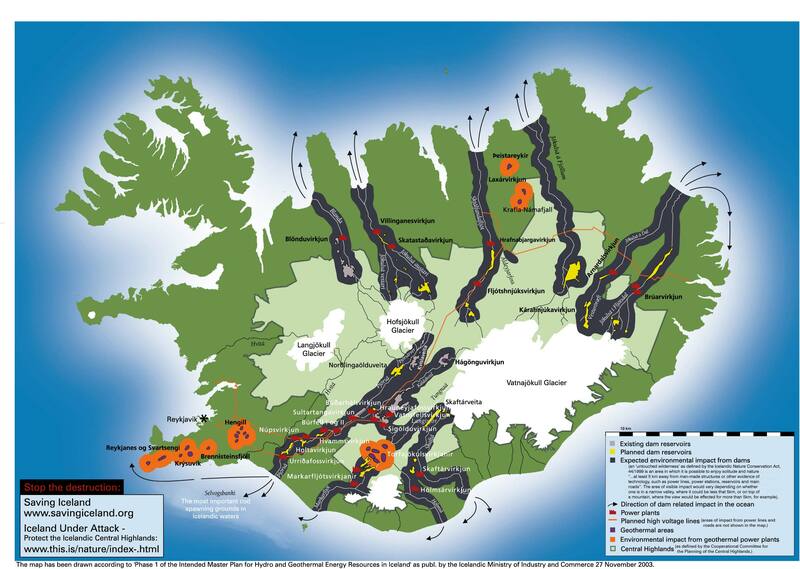 In reality, the heavy industry agenda is still being pursued and most rivers and geothermal areas are still under threat. This map details the effects of planned dams, reservoirs and geothermal exploitation as well as the planned heavy industry projects. Click to enlarge. Read through the sections below for details on each of the threatened areas.